The Nashville Chamber of Commerce has a membership of approximately 80 members from Nashville and surrounding areas. The Chamber relies on volunteer members to carry out the business of the organization. Volunteer efforts help keep dues low and affordable, particularly for the many small businesses in the area. 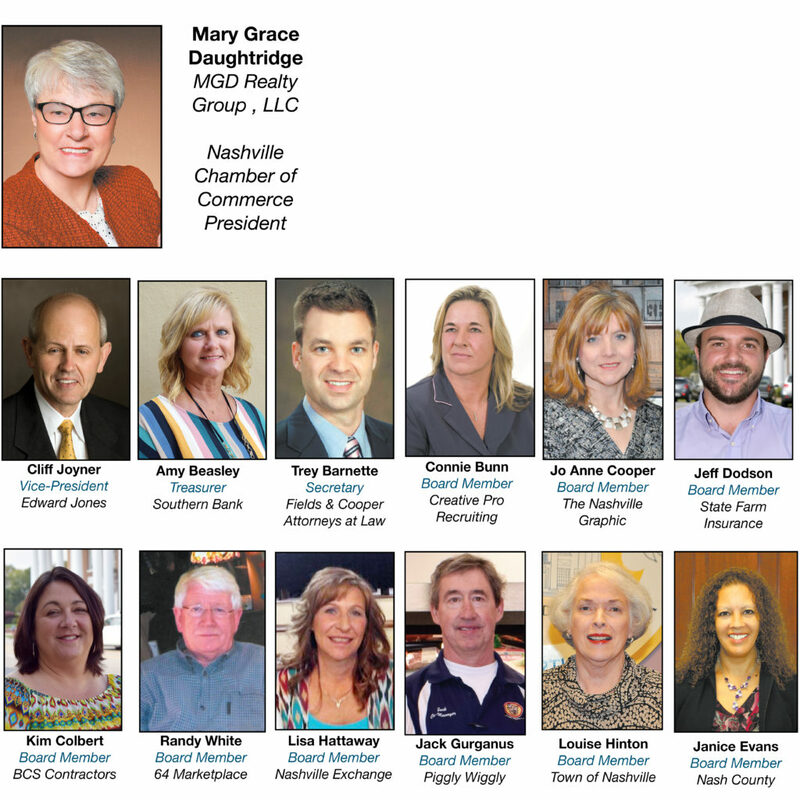 Part of the mission of the Chamber is to promote, develop and encourage the business and civic interests of the local Nashville area businesses and residents. Thus, local business support is critical to achieving this mission. All area businesses and individuals are encouraged to join and volunteer to support the growth and efforts of the Chamber. One of the major activities of the Nashville Chamber of Commerce is the annual Blooming Festival. Started in 1996, it continues to grow and provide a weekend of fun that features a parade, street dances, a children’s carnival and street vendors each Mother’s Day weekend. For more information, visit the Blooming Festival area of this website. The following members have been elected at the July 2017, annual meeting to serve in the indicated capacities. Officers have been elected to serve for a one year term with board members serving three years. The fiscal year of the chamber is July 1 through June 30. Officers and board members may be re-elected in accordance with the bylaws. Please contact us by mail, email or phone. 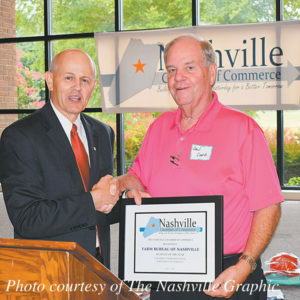 The Nashville Chamber of Commerce operates with a volunteer staff. Responses may take a few days. Also, please visit the Blooming Festival page on this website for additional information.